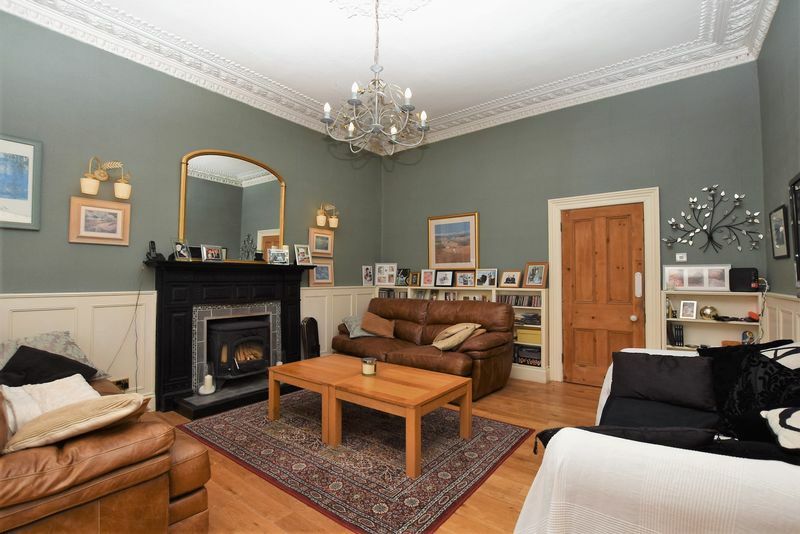 This truly gracious Victorian family home - This elegant property boasts an abundance of well designed space both internally and externally. 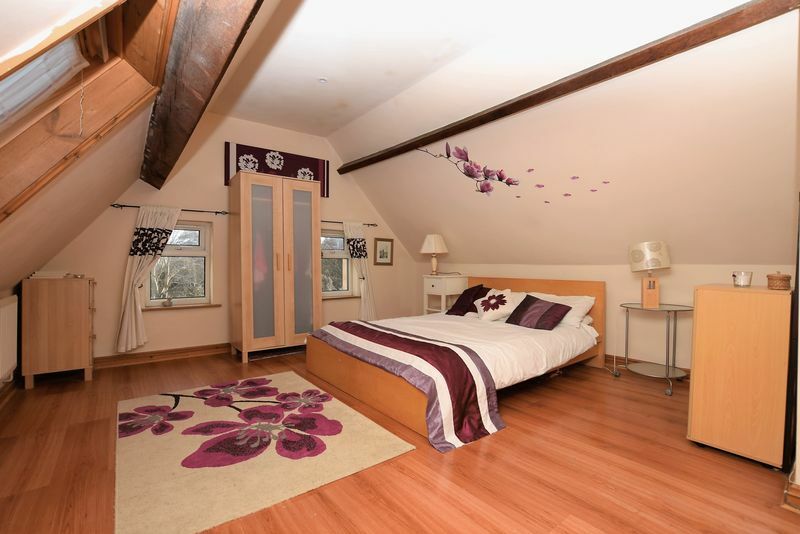 The accommodation is beautifully appointed throughout the entire house. 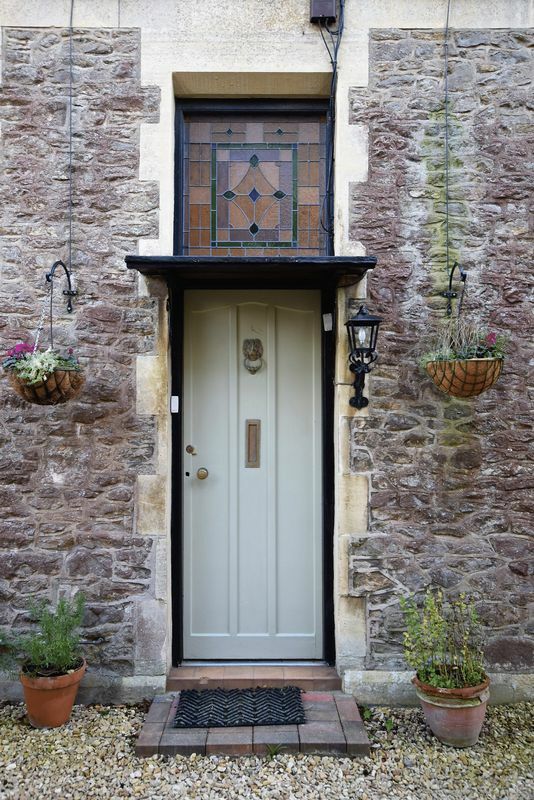 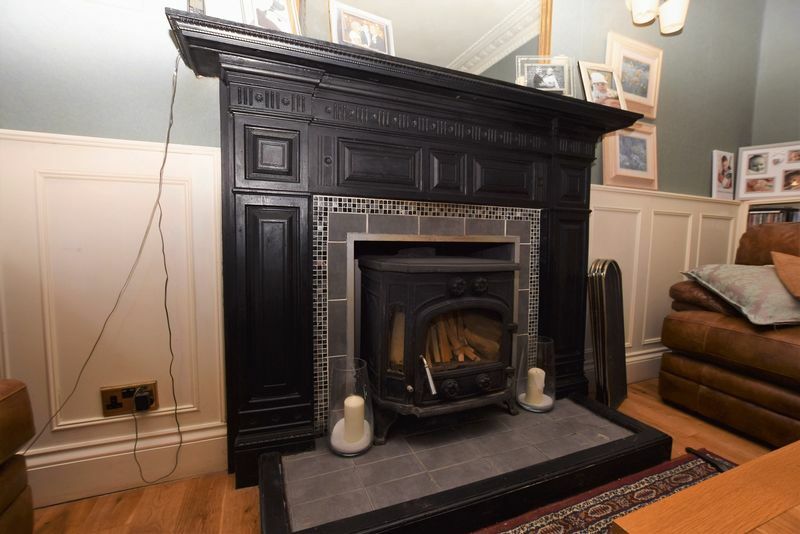 The current owners worked tirelessly to tastefully restore period features as well as adding many well designed and hand crafted aspects themselves. 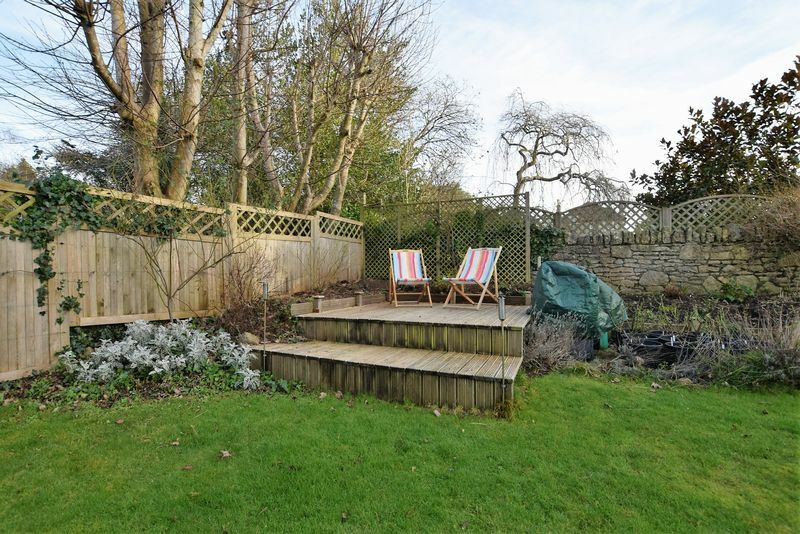 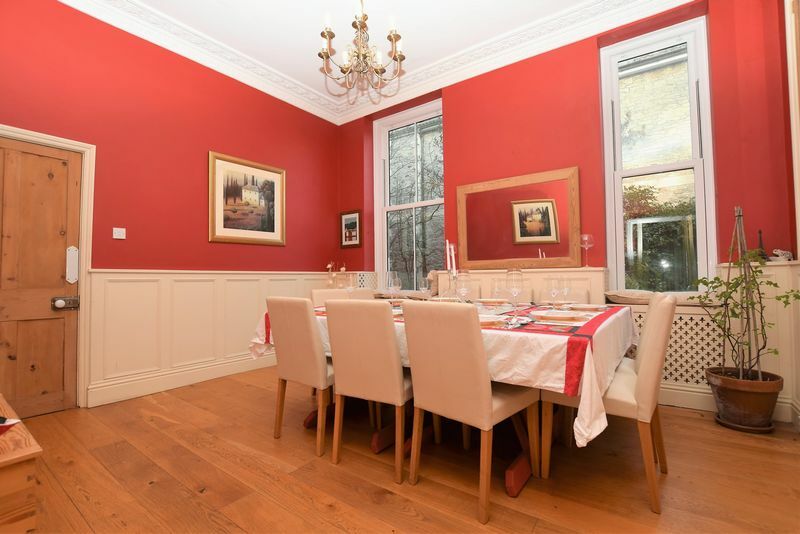 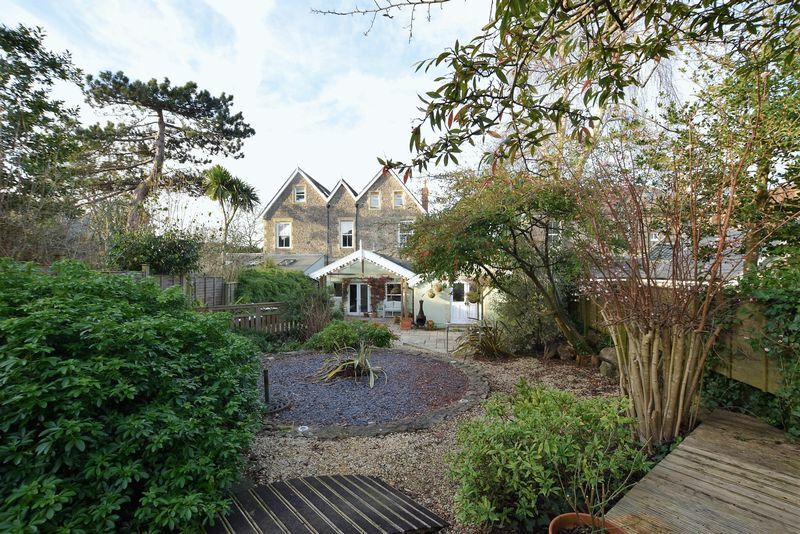 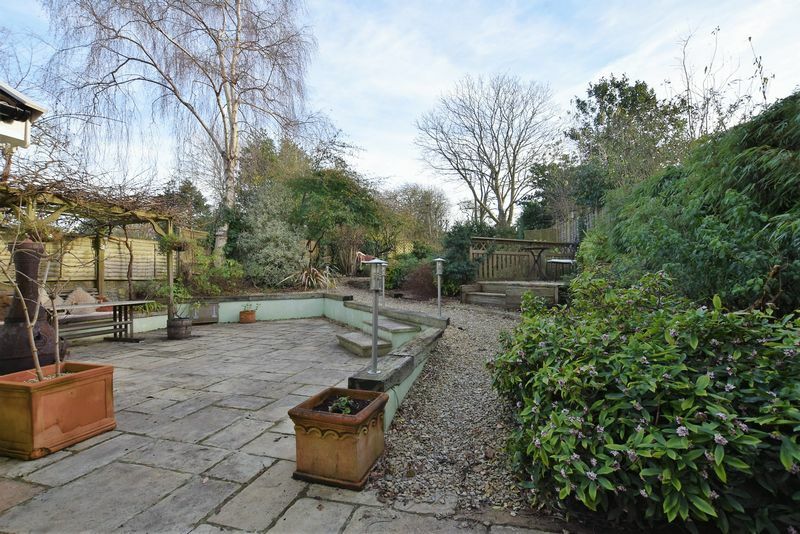 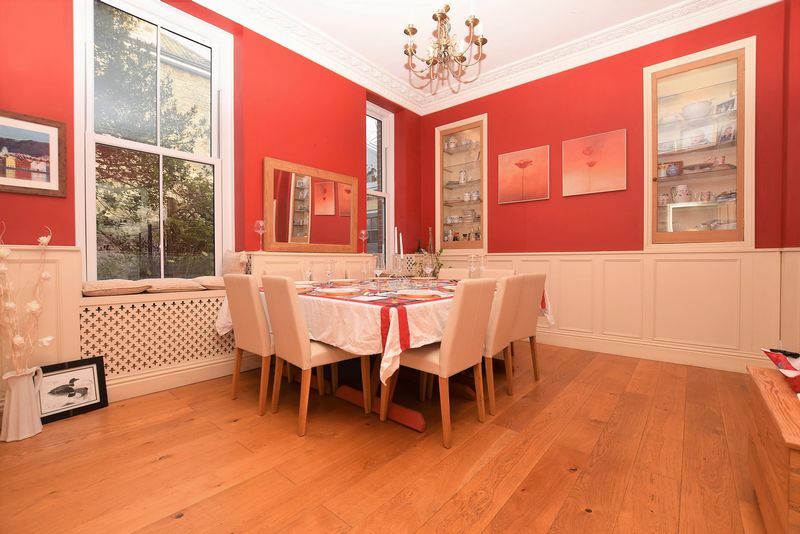 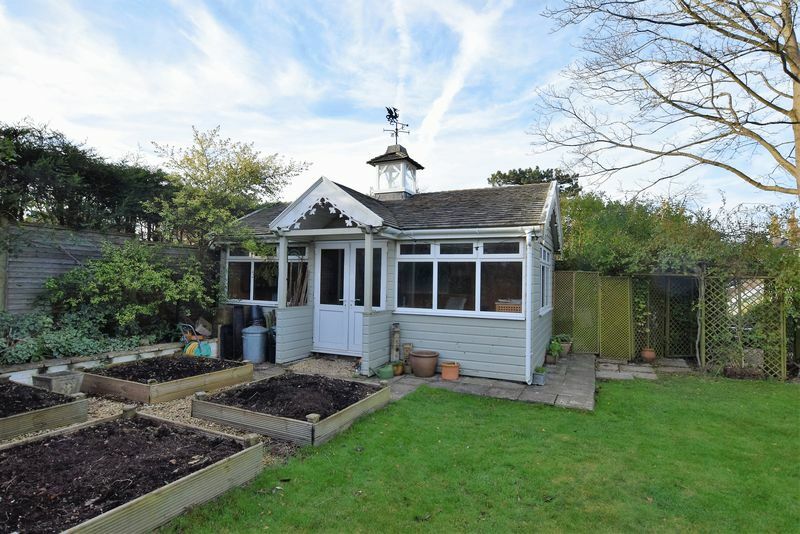 The property is arranged over three floors, the ground floor offers a spacious sitting room, separate dining room, study/fifth bedroom, modern shower room plus a bright and airy kitchen/breakfast room which opens onto the garden. 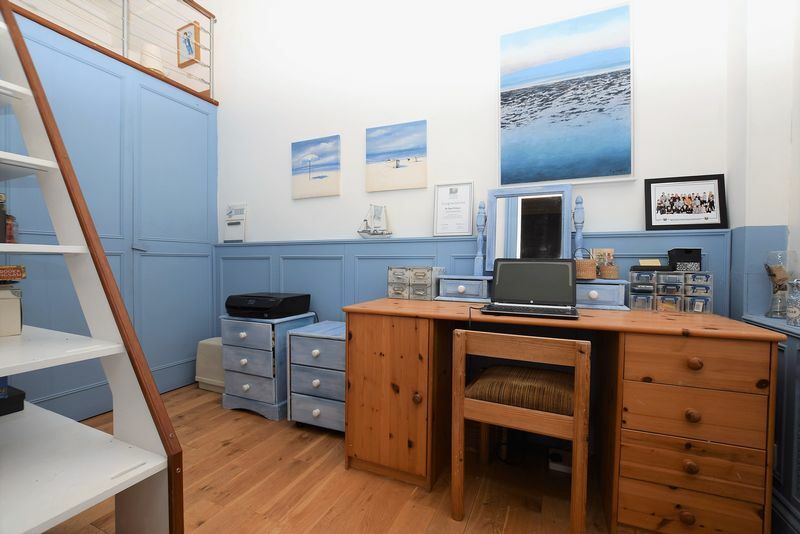 The bedrooms are all double in size sit on both the first and second floor along with a large family bathroom and expertly fitted en suite to the Master. 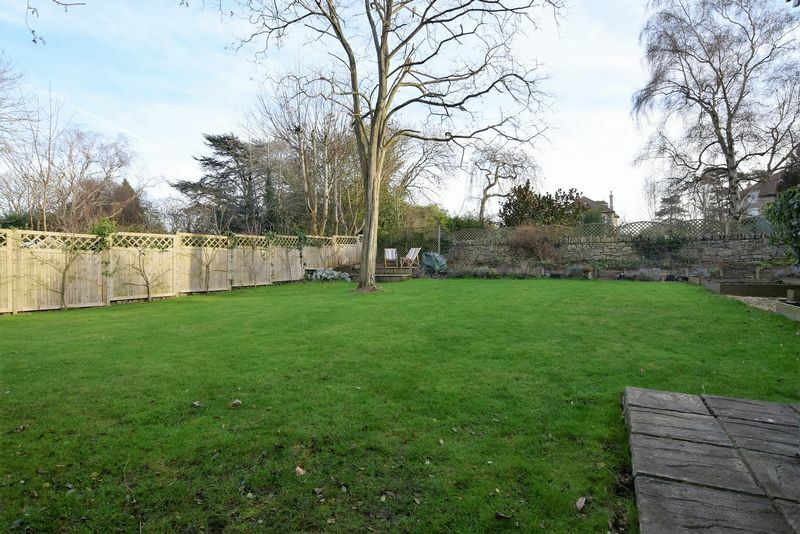 The grounds are quite expansive, there is a huge frontage providing ample parking. 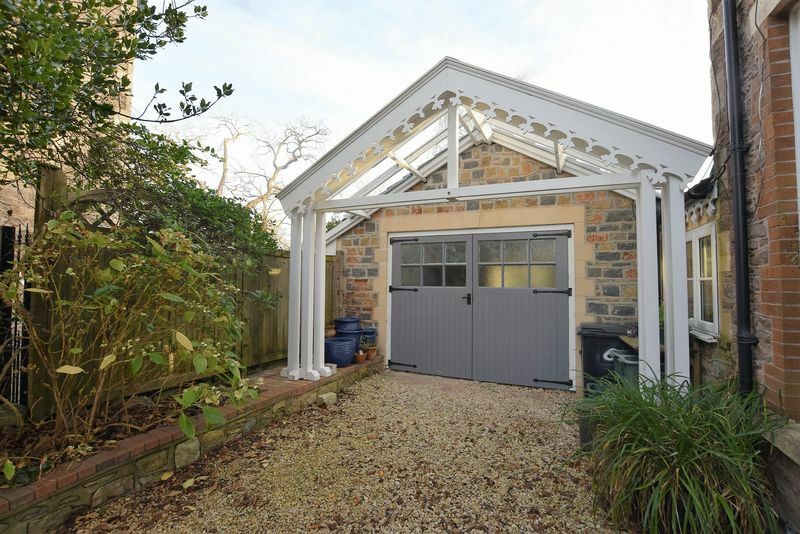 There is also a large garage/workshop with water and power. 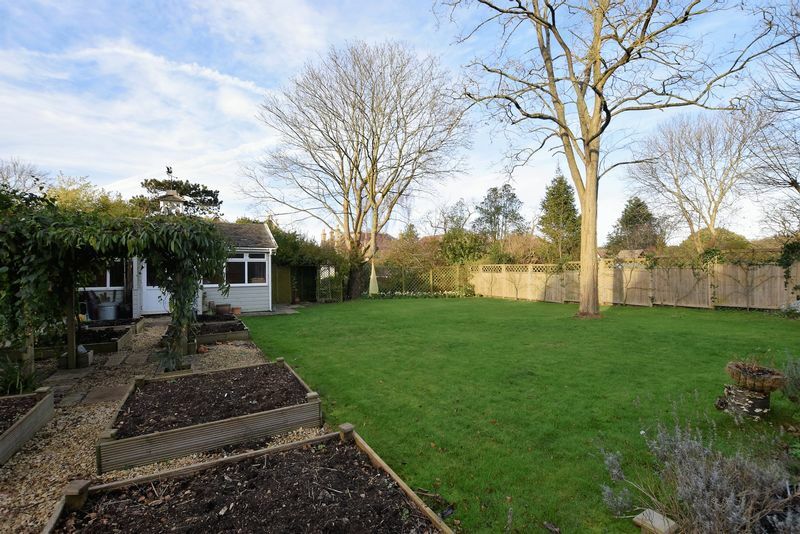 The gardens at the rear have been cleverly designed to offer a large patio immediate to the house, this then leads to great area of lawn - plenty of space for young children to play and kick a ball around. 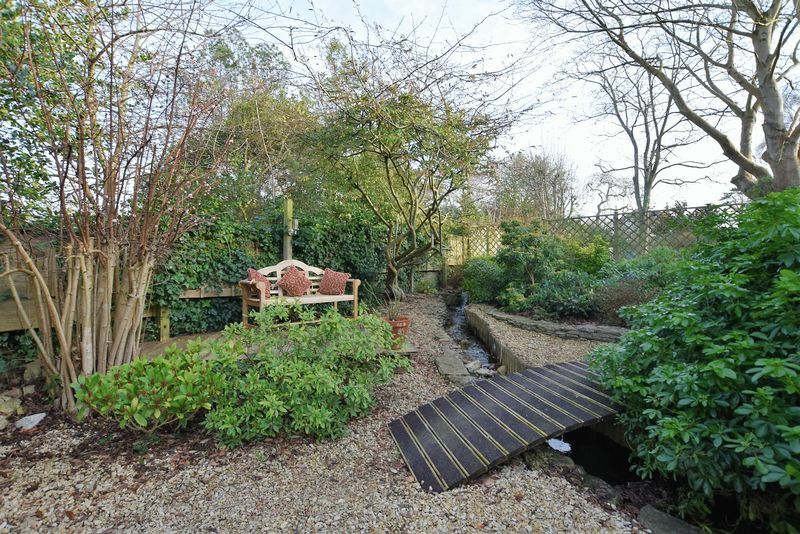 An extra special benefit is the custom built pavilion, could be an ideal hub while hosting a garden party or taking the time to relax in one of the many well designed seating areas whilst listening to the noise of the blissful stream. 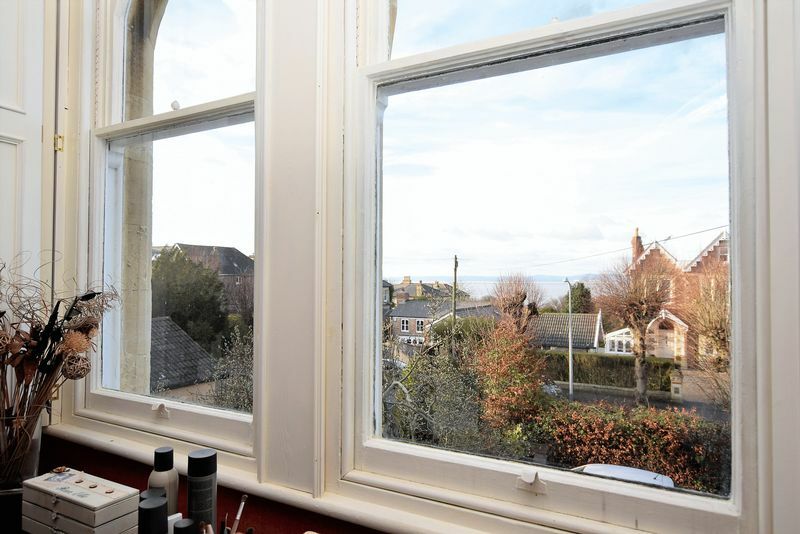 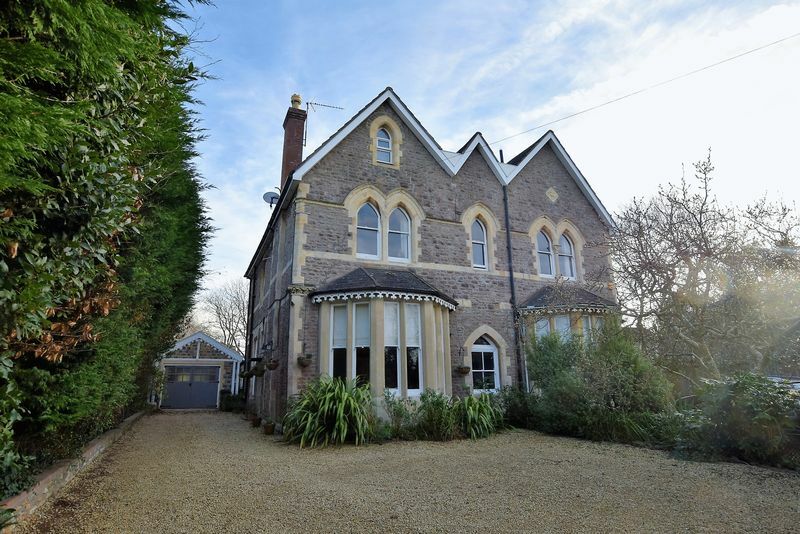 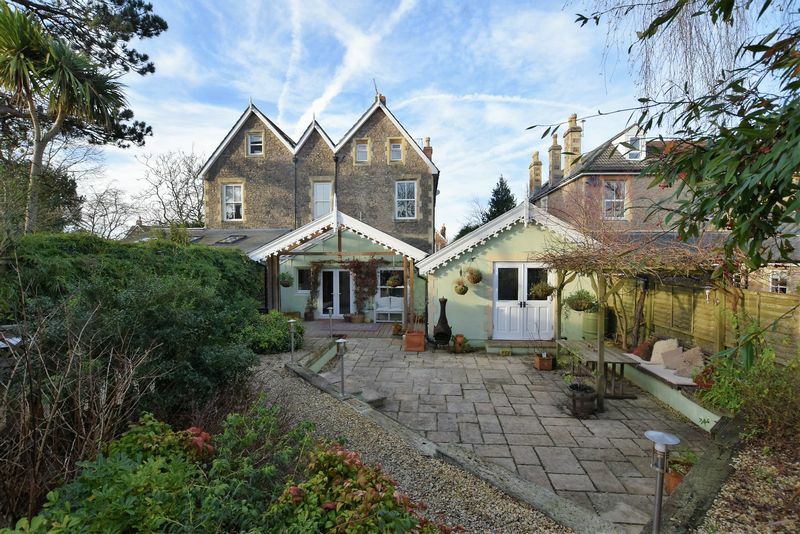 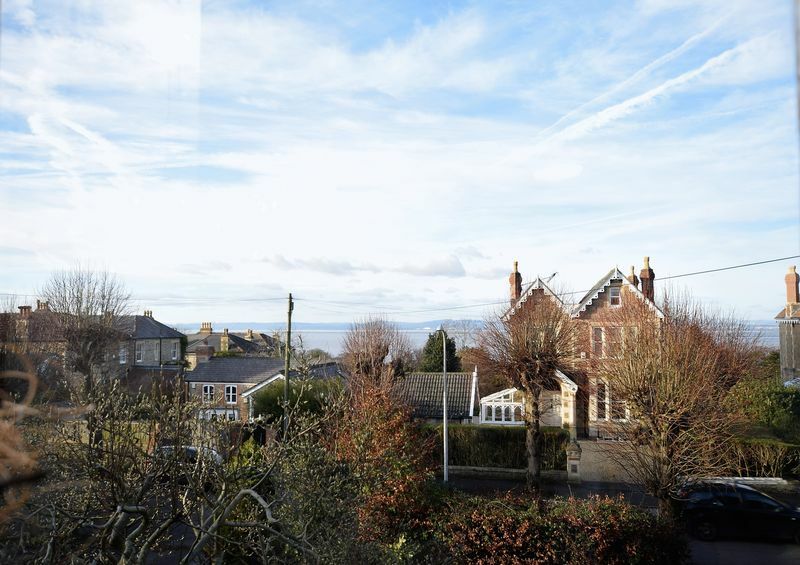 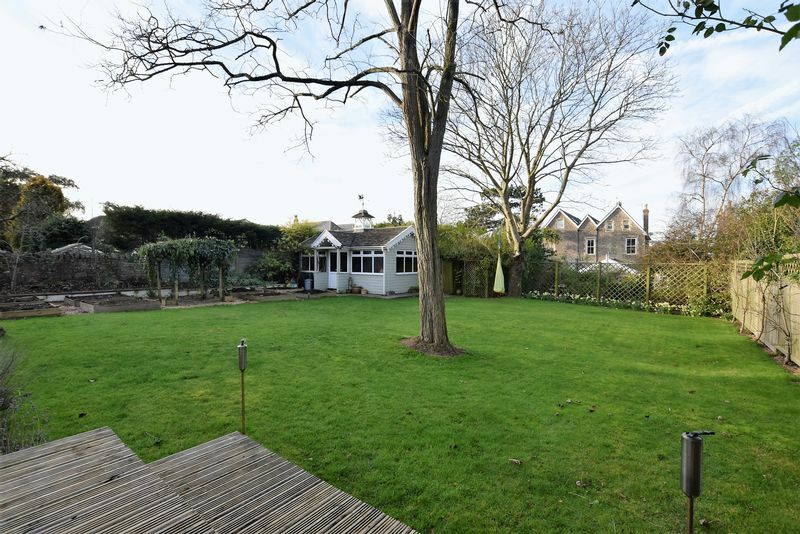 The Avenue is one of Clevedon's most prestigious roads - set within the heart of Upper Clevedon, it's a beautiful location and one that is renowned amongst local residents. 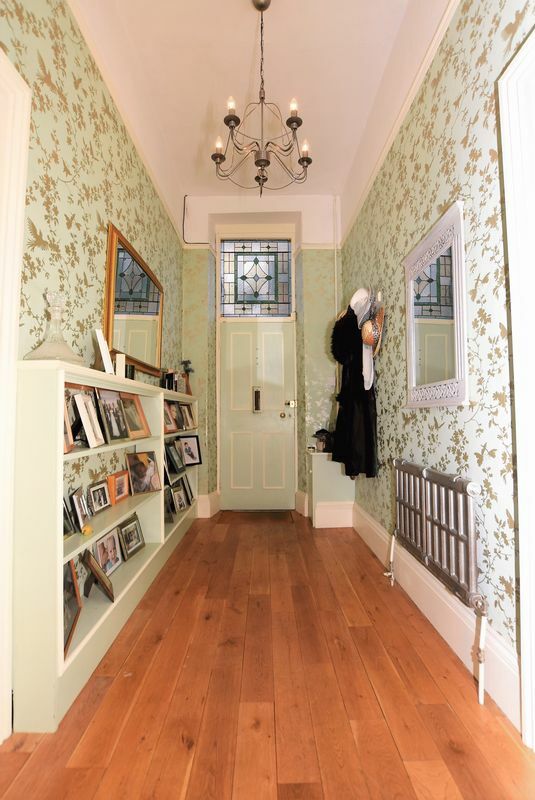 This truly is one of the most special homes in the town. 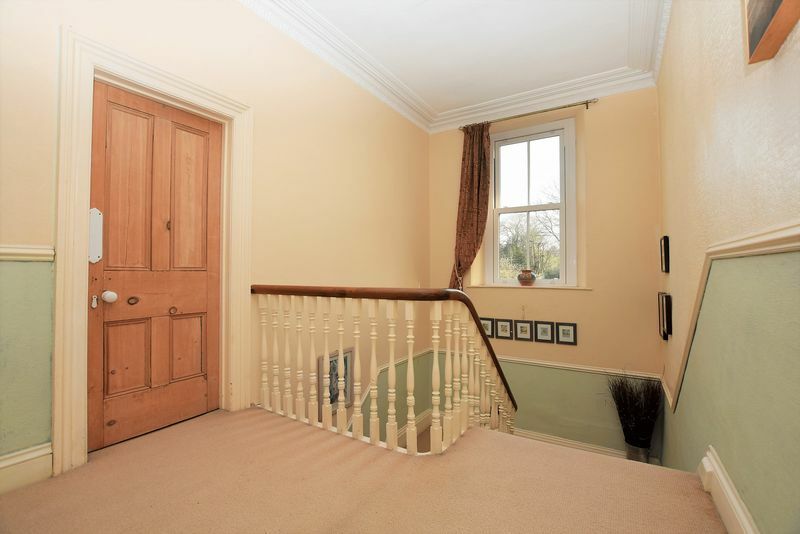 The grand architecture and expansive grounds make this an opportunity not to be missed. 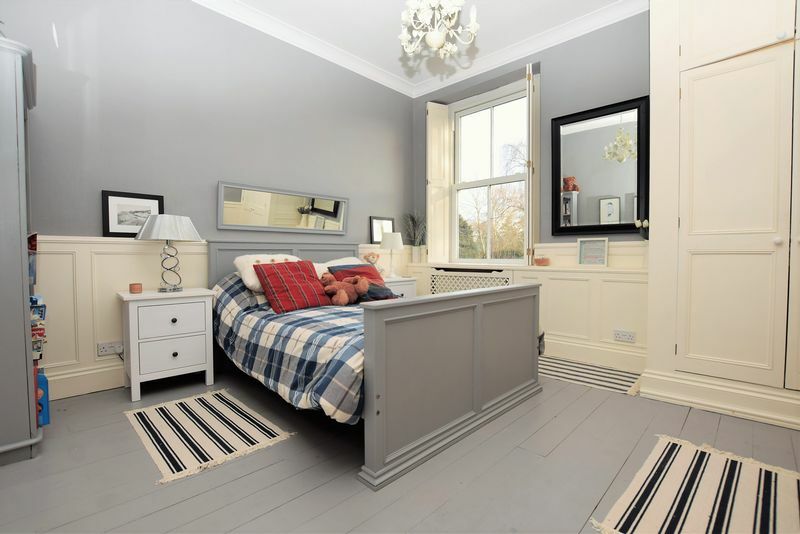 with radiator, wooden flooring, built in shelving. 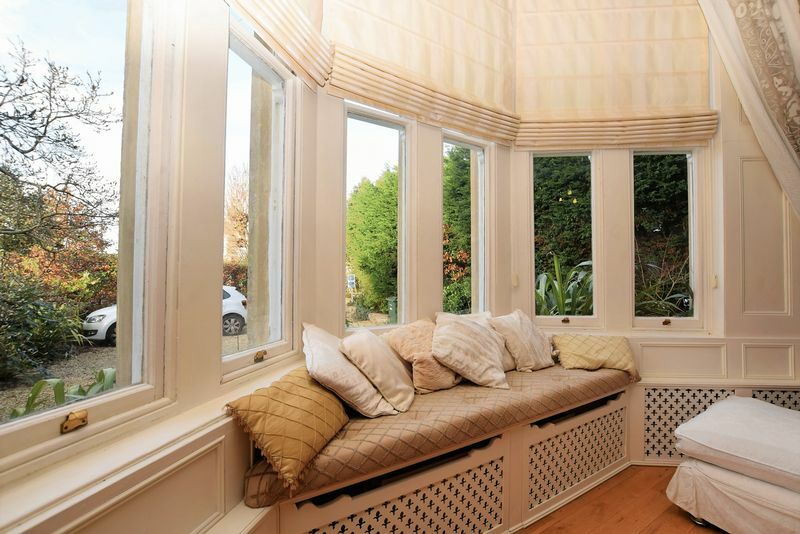 with two windows to side, built in oak display units with lighting, two radiators, window seating, hand crafted wooden panelling, ceiling rose and cornicing. 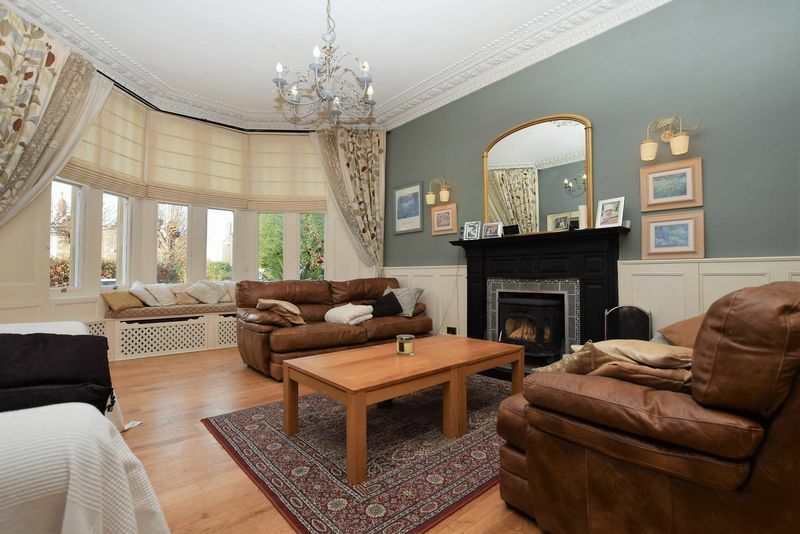 with angled bay sash window to front, wood flooring, hand crafted wooden panelling, hand crafted wooden bookcases, decorative cornicing and ceiling rose, feature fireplace with wood burner, window seat. 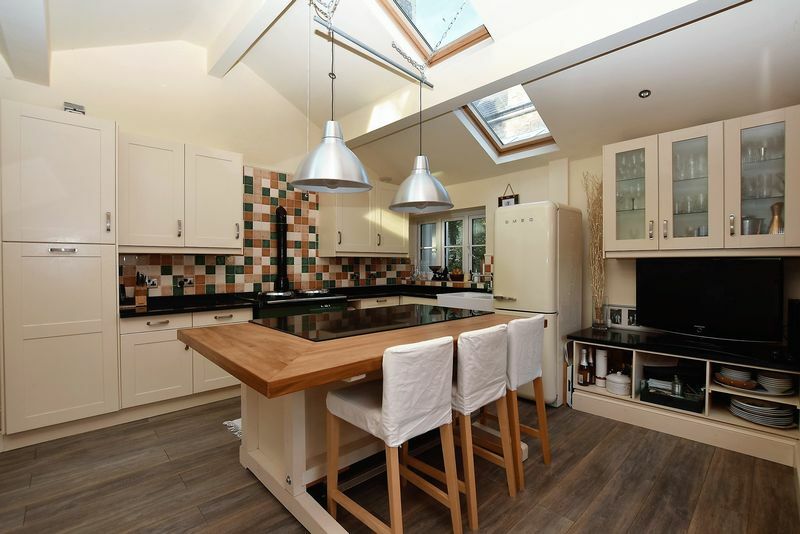 fitted with a full array of wall and base units, ceramic double sink and drainer unit, integrated dishwasher, Aga, four Velux windows, windows to both sides, two windows to rear, patio doors to garden. 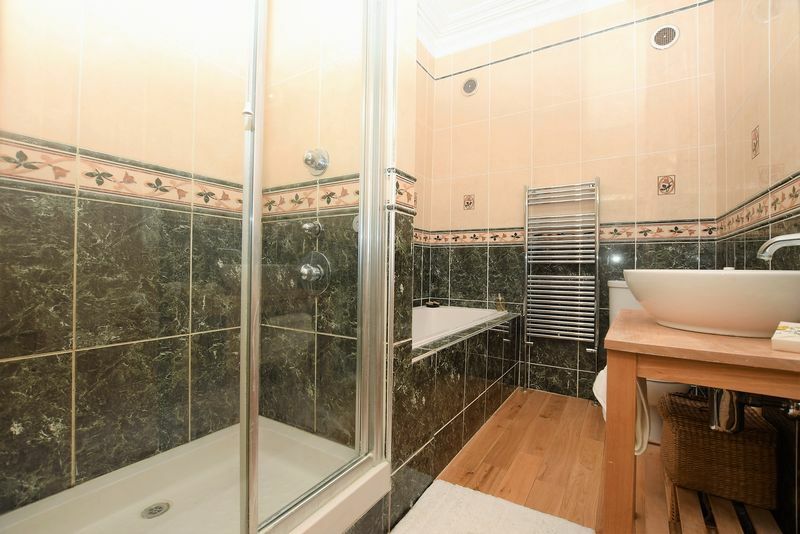 with shower, wc, heated towel rail, doors to inner hall and study. 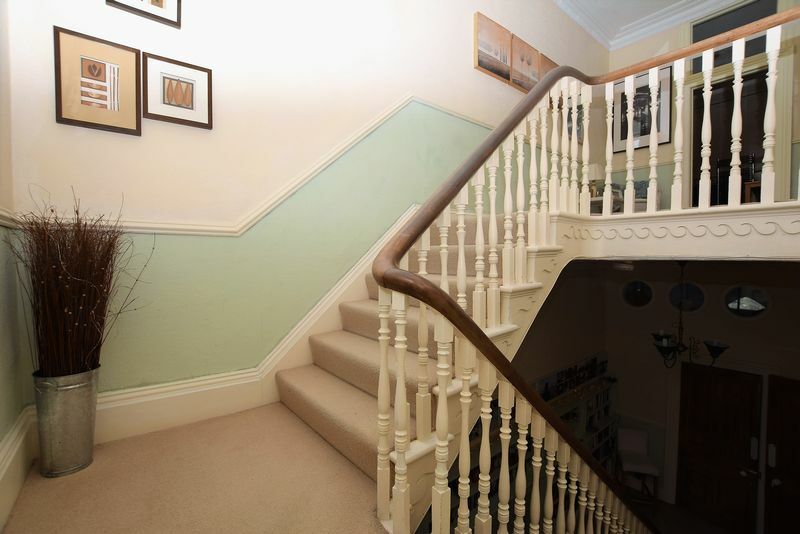 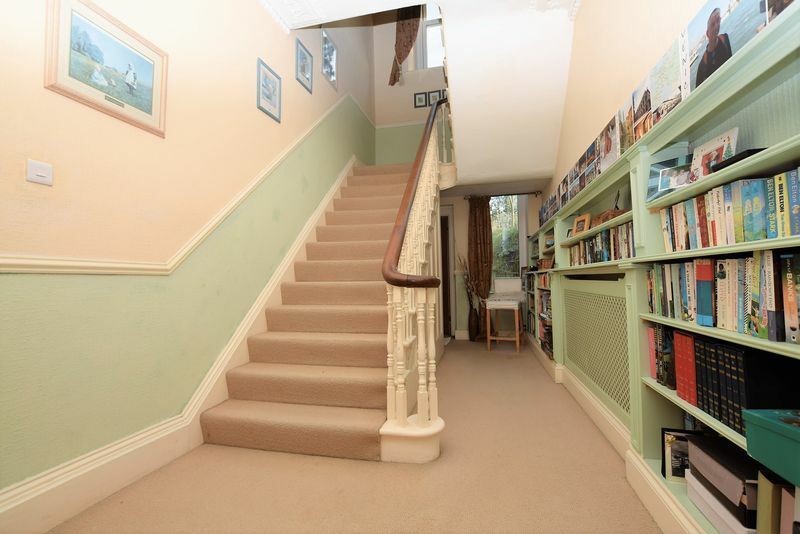 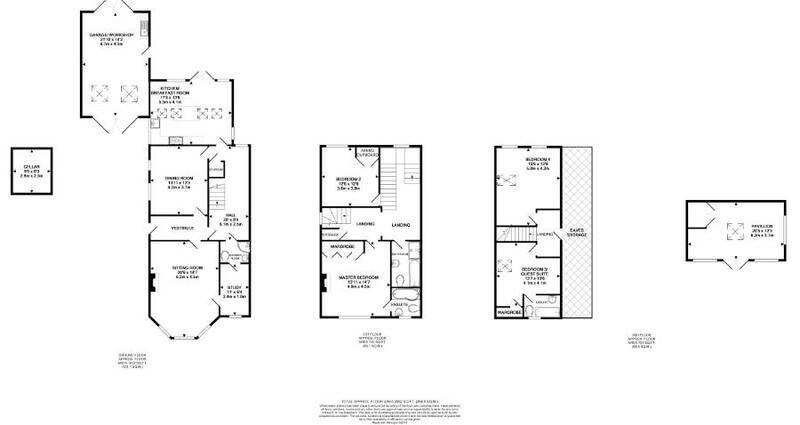 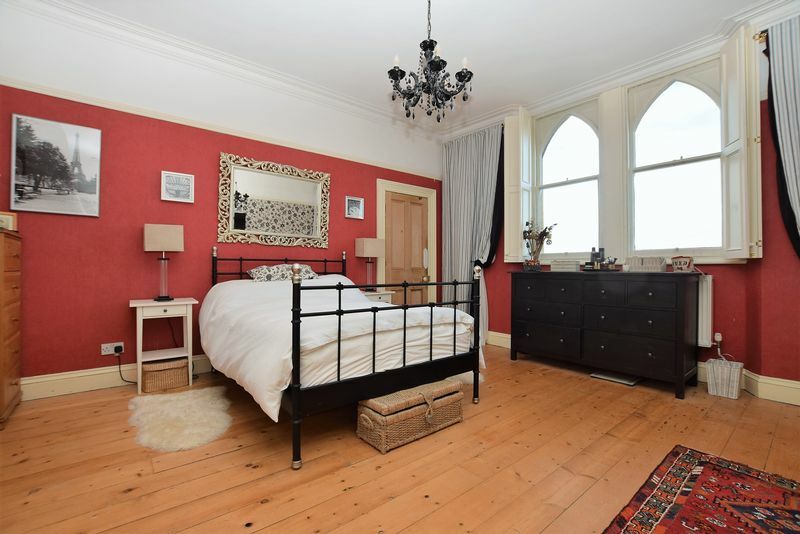 with window overlooking garden, radiator, under stairs storage, stairs to second floor. 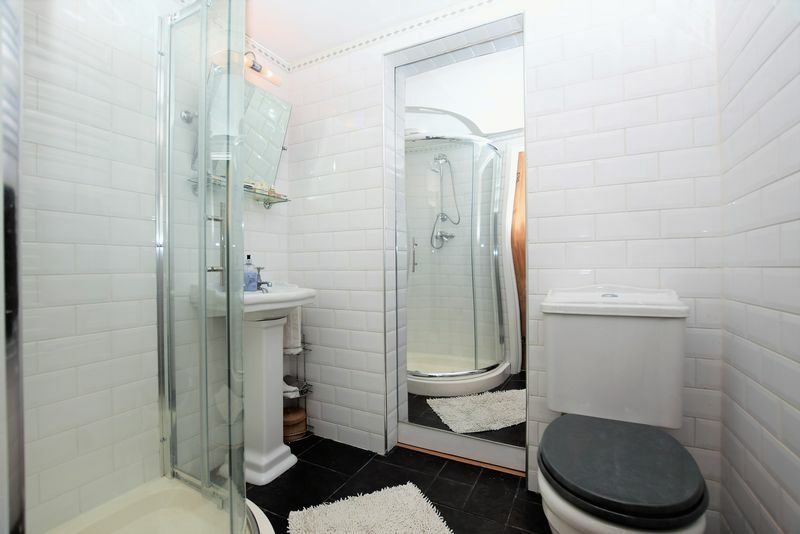 with p shaped bath with shower over, wc, tiled vanity cupboard with glass sink, heated towel rail, window to front. 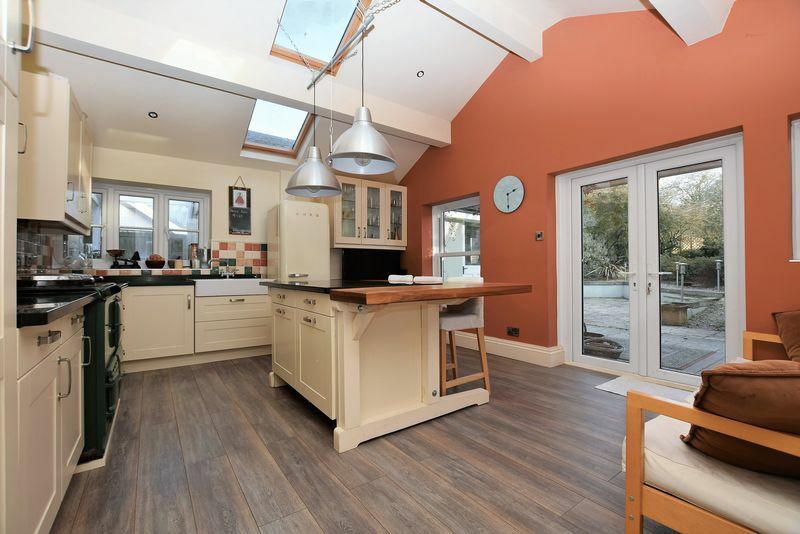 with window to rear, large cupboard housing boiler, hand crafted wooden panelling, working wooden shutters. 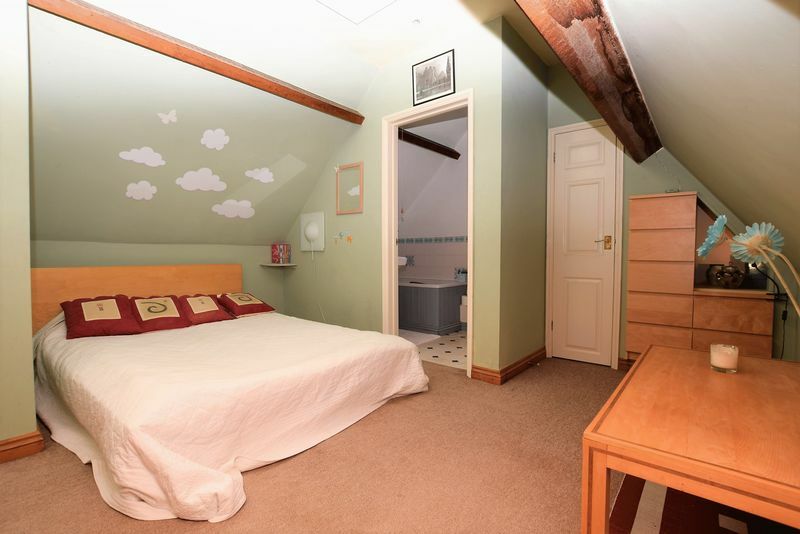 with bath and separate shower cubicle, wc, sink, heated towel rail, extractor. 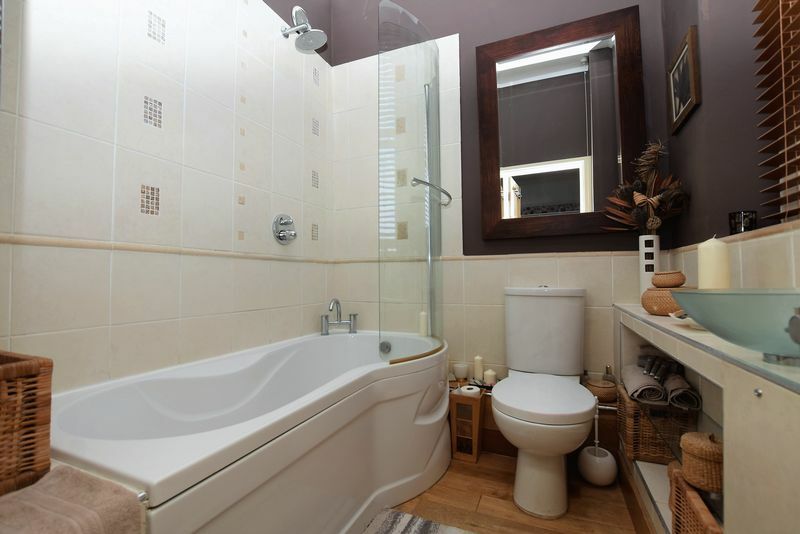 with bath, sink, wc, extractor, radiator, window to front. 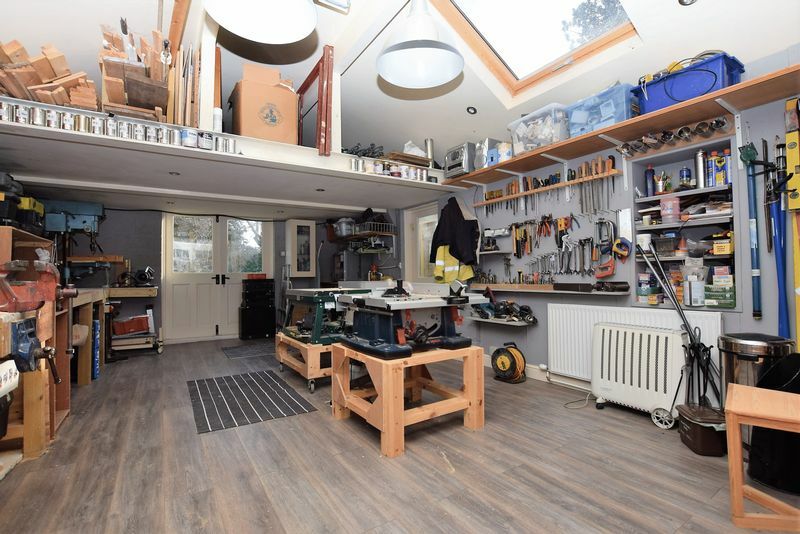 with two windows to rear, one Velux window, two radiators. 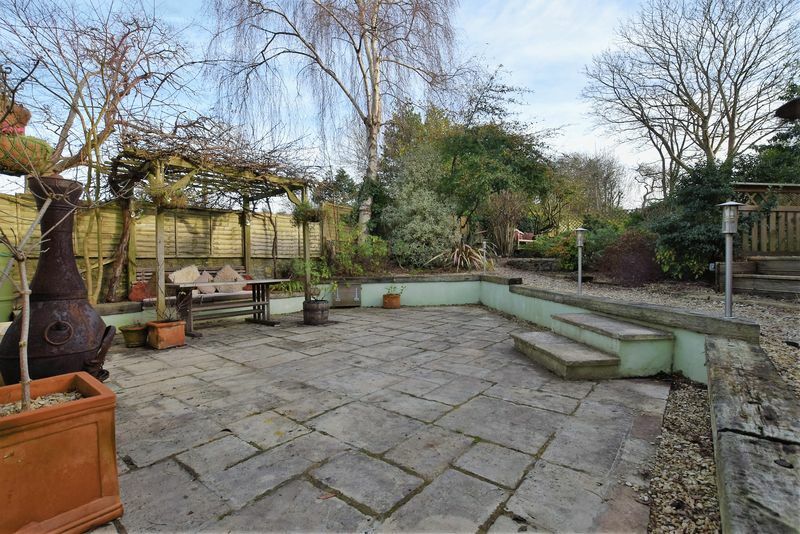 with wooden gazebo, covered decked area leading off the kitchen with wooden planters and lighting, large patio, mature tree and shrub borders, feature lighting, water feature with stream and bridge leading to a further lawned area at bottom of garden which is presented with wooden planters, a decked seating area and mature trees and shrubs. 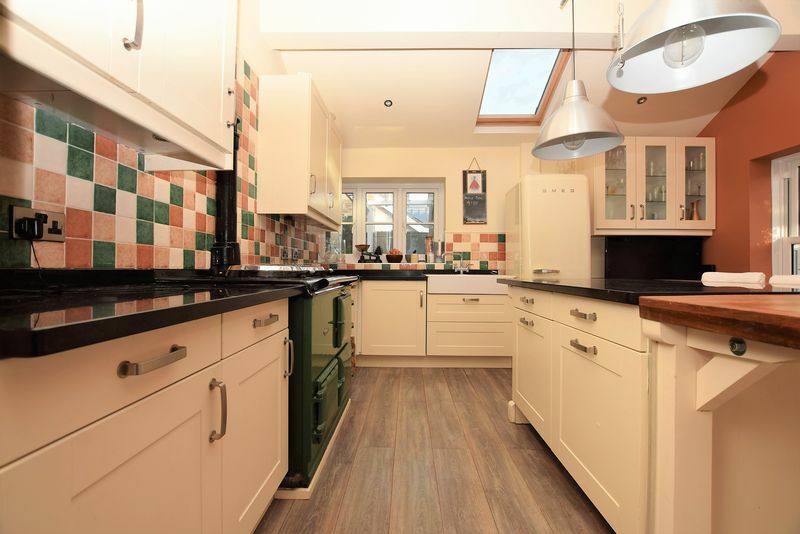 with wooden garage door to front, two Velux windows, double doors to rear garden, radiator, utility area with base units, sink and plumbing for automatic washing machine.